There’s a line from the Grateful Dead’s 1976 hit “Terrapin Station” that reaches an artist’s soul. Light the song with sense and color. More than this I will not ask. But it’s not just in music that Jerry Garcia serves as a guiding light for Tanner Gray. With his flair for funky fashion, Gray bears a close physical resemblence to Garcia. Gray is the lead singer for the Graytones, which may be the Emerald Coast’s grooviest jam band. I had the pleasure of attending a band practice that took place in a secluded cabin at the E.O. Wilson Biophila Center in Freeport. keyboardist Chris Crutcher, were the first to roll in. Shoes came off and beers were iced down as they settled in, a ritual already familiar to a band that formed just last year. Then, the trio’s members split to different corners of the country post-graduation. Gray found himself in New Orleans, where Craigslist was the best networking resource available to musicians. And, like so many who have sampled the Emerald Coast, the pair was Chinese fingertrapped. Moving to the beach was easy; leaving it proved impossible. Grayton Beach in particular holds a special place in their hearts. Their music is synonymous with the eccentric, yet laid-back lifestyle of the beach community and steadfast with psychedelic beats to get the crowd on its feet. The distinctive sound, they said, found itself. Just believe that I’ll get there in time. And, like the track’s candid lyrics, the Graytones weren’t interested in romanticizing the filming process. “It was weird,” Cructher insisted. With an album in the works, band members would like to take a stab at directing their own videos and perhaps take a more humorous approach. Though they may be camera shy, their droll personalities ensure that stage fright isn’t an issue. 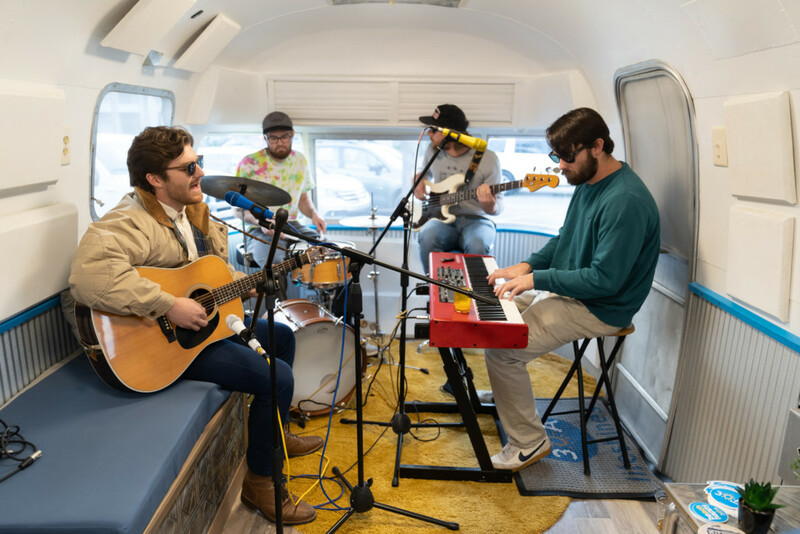 In addition to their usual haunts, the Graytones have rocked the Seaside Ampitheatre and Pensacola Vinyl Music Hall and have turned in a televised performance for the StudioAmped Concert Series. The boys had the privilege of playing Panama City Beach’s first SandJam Fest, headlined by Fitz and the Tantrums, Incubus and Sublime. Until then, you can find them all over the Panhandle, playing original riffs, soulful improvisations and, of course, plenty of Grateful Dead. The Graytones have plenty to spare.